CRDC approved financing to upgrade and refurbish one of Manchester's longest running franchises. The Second Street Dairy Queen is currently closed while a major renovation is underway to upgrade to a modern look and convert to a full food and beverage menu offering some table service. 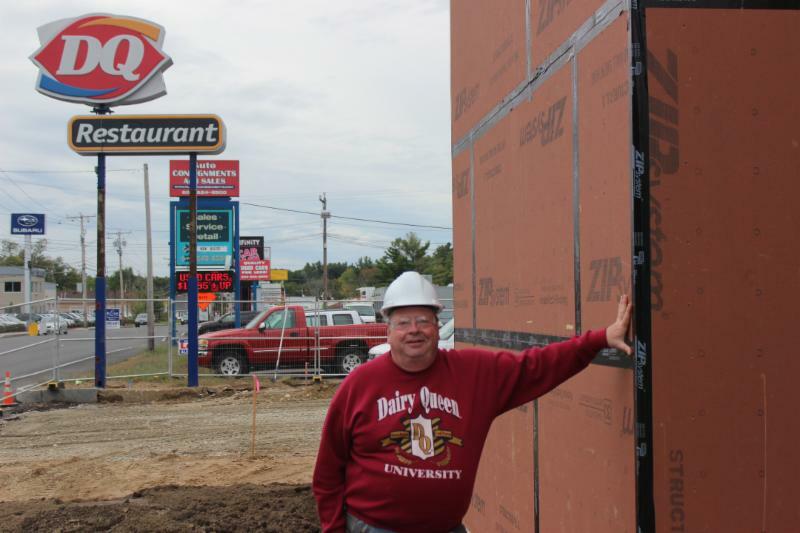 Manchester Dairy Queen Owner, Dave Dion stands in front of his Second Street location currently under renovation. "Dairy Queen came out with a new imaging plan to retrofit all the Dairy Queens across the country," said Dave Dion, Dairy Queen owner and operator. "The new layout will offer a comfy dining experience and allows us to enhance our menu with more offerings. I wasn't forced to do the modification, but I felt the time was right and it made sense financially." The upgrade is projected to cost $1.1million which doesn't include the cost of new kitchen equipment required for the enhanced dining experience. "To make this deal work, I needed working capital," said Dion. "That's when CRDC was referred to me. CRDC offered a gap financing solution and worked quickly with the Bank to structure the loan. They were easy to work with. It was a very easy process even the closing was easy." "CRDC was asked to step in when the borrower realized that the entire restaurant needed to close during renovations," said Jennifer Boulanger. "We provided financing for 10% of the total project costs to help the borrower save cash for working capital purposes during the renovation." Renovations are expected to wrap up in January 2016.